When you decide to hire a HVAC-R company to perform routine maintenance and periodic inspections, you are taking an important first step to protecting your HVAC investment and make sure it lasts you faithfully for years. But there are many companies out there that provide commercial HVAC maintenance service and all of them are different. How do you decide on the best fit? Here are some things to look out for before you contact them. When it comes to HVAC maintenance, there is no real substitute to the work provided by an experienced technician provided by a respected company that has been doing it for years. HVAC companies are proud of their longevity in the business because they are the ones that attract the best technicians, provide the best customer service, and they usually mention how long they have been in business somewhere on their website. LMI for example, has been providing professional commercial HVAC services since 2004. That’s over a decade of growing with the business, cultivating relationships, and truly learning what it means to provide great service. A good indication that the technician you hire will perform his or her duties with competence and adherence to a higher standard of safety and quality is to make sure they have the proper licenses and certifications for your area. In Colorado for example an HVAC technician should hold licenses in electrical and plumbing and be affiliated with any number of national HVAC or mechanical contractors associations. Associations like these will audit their members and make sure they are up to date. You can read all about LMI’s certifications here. HVAC contractors that offer free consultation and estimates, such as Legacy Mechanical, are ones that stand by the quality of their work, and their service after the sale. If an HVAC contractor won’t leave their offices until you commit to their services should not be worth your time. During this inspection, the contractor will look at what the common issues with your system are, where you have air leaks, poor air flow, inadequate insulation, old or worn machinery, and thermostats that are not calibrated or broken. These are common HVAC problems and can eliminate much of the guesswork when trying to troubleshoot a system. Don’t let the contractor perform any work until they provide details of their services in writing in the form of a contract or service estimate. This should include all fees, labor, dates when work will be performed, and equipment costs. 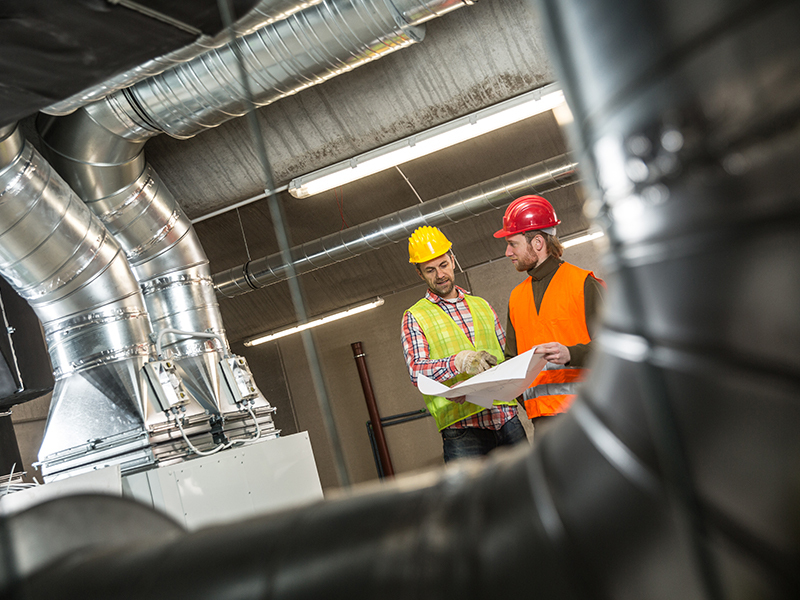 If you have been in your building for years, or if you are are starting a new business, it is never too late to establish a partnership with a reputable and experienced HVAC maintenance provider like Legacy Mechanical. Call us today and let us know what is going on with your system.